Swarovski's EL Range offers the best combination of long-range optics and ergonomic design. The master craftsmanship underlying these binoculars is proven by razor-sharp images combined with precise range and angle measurement, as well as their perfectly balanced weight, allowing you to hold them steady. Swarovski &apos;s EL Range offers the best combination of long-range optics and ergonomic design. The master craftsmanship underlying these binoculars is proven by razor-sharp images combined with precise range and angle measurement, as well as their perfectly balanced weight, allowing you to hold them steady. Other benefits of the new EL Range are the FieldPro package, which includes a new strap connector making it extremely simple to switch quickly and flexibly between strap and accessories and the new, distinctive measurement button. Accuracy can also mean versatility. 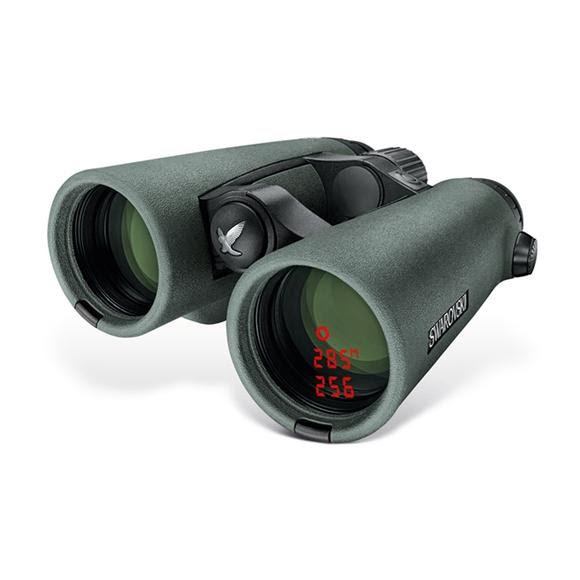 The EL Range 10x42 binoculars are ideal for numerous viewing opportunities right up to twilight. Their expansive field of view and large exit pupil ensure optimum comfort during observation. Thanks to the new FieldPro package, the EL Range 8x42 will also impress with their enhanced strap connector, integrated objective lens and eyepiece covers, as well as the new, distinctive measurement button for even more precise operation. Integrated inclinometer with the uniquely exclusive angle-shot program indicating the correct distance range of angle. Automatic shut-on and shut-off with inclination sensor for illuminated reticles, optimized electronics for higher battery life. It is only when you use a product every day that you can actually see how it works. This is why SWAROVSKI OPTIK continually strives to make improvements to the ergonomic design of its products. The new EL Range with the FieldPro package will impress you not only with its long-range optics and functional aspects, but also with its new accessories.